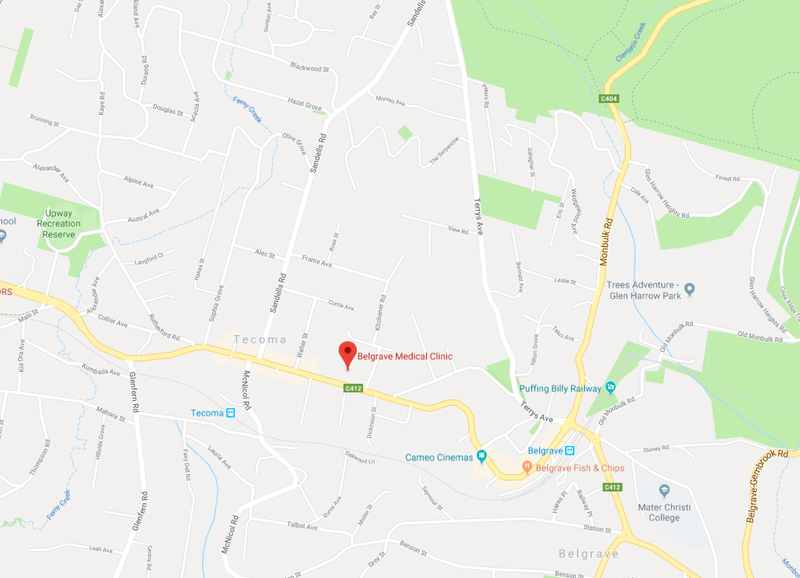 Belgrave Medical Clinic is situated on Burwood Hwy at the East end of the Tecoma shopping strip. Parking - There is plenty of on-site and street parking for those driving to the clinic. Disability parking space is allocated in the on-site parking area and also a park space for scooters is provided near to the entrance. By Rail - For rail travellers, the clinic is a short walk from the Tecoma or Belgrave rail stations along the Burwood Hwy.